A prestigious Sydney office space is now 100 per cent leased with data analytics company Quantium taking up the last of the sought-after space. 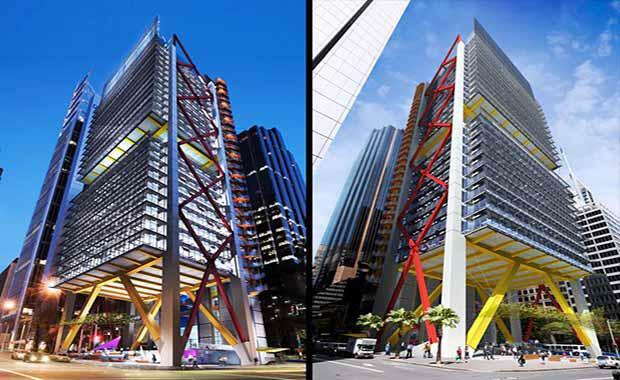 Keppel REIT), is a 19,350 square metre, premium-grade office building located in the heart of Sydney’s CBD. Set over 34-levels and boasting a revolutionary workplace design, it is one of the first buildings in Australia to feature the vertical village concept, providing tenants with unparalleled connectivity and interaction. Since achieving practical completion, 8 Chifley has won a number of awards, including the UDIA Award for Excellence for a Commercial/Retail Development; the Australian Institute of Building, National Professional Excellence Award for a Commercial Construction in the $100 million plus Category; and the Urban Taskforce Development Excellence Awards for an Innovative Development. “Securing top-tier quality tenants such as Quantium, Corrs Chambers Westgarth, QBE Insurance Group, PPB Advisory and Natixis is testament to the high quality and innovative design at 8 Chifley. CEO of Keppel REIT Management Limited, Ms Ng Hsueh Ling, said, “We are pleased that 8 Chifley is fully leased. This demonstrates that well-located, premium-grade buildings continue to be highly sought after by tenants seeking a good business address in Sydney’s core CBD precinct. "Demonstrating the joint owners continued excellence in sustainability, 8 Chifley is one of only a few commercial buildings in Australia to achieve a 6 Star Green Star Office Design v2 rating, and is targeting a 5 Star NABERS Energy rating.